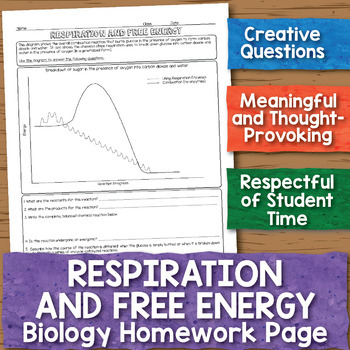 This biology homework page is perfect for helping students understand the overall energy changes that happen during cellular respiration. 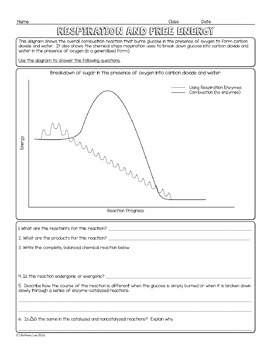 This one page worksheet is designed to have meaningful, thought-provoking, and creative questions that are respectful of student time. This page is a non-editable PDF file. It contains unique illustrations that I created or licensed from professional designers. An answer key, with the answers in red, is included!